Being charged with DWI or any other criminal offense can be overwhelming. When you feel lost and ignored in an unfamiliar system, you need an aggressive, knowledgeable and experienced attorney. Nicky Boatwright is committed to her clients and understands that your life, freedom and future are at stake. She is dedicated to building the strongest defense on your behalf and obtaining the best possible outcome for your case. Nicky Boatwright has over 16 years’ experience aggressively defending DWI charges. She is trained in DWI Blood and Forensic Blood Analysis and the same Standardized Field Sobriety Tests and Breath Tests used by law enforcement. She is prepared and ready to protect your rights. Nicky Boatwright will carefully examine the evidence in your case and explain the law and legal process to you fully. She will address your concerns, stay in touch with you throughout the progression of your case and work diligently to aggressively defend you in court. It can happen to anyone...a salesman on business in Lubbock...a couple having dinner out...visitors to the college campuses or students attending Texas Tech, Lubbock Christian University or South Plains College. A member of the police force pulls you over on suspicion of driving while intoxicated (DWI) or, if you are under 21, driving under the influence minor (DUIM). You never thought this could happen. You do not know what to expect and you do not know your rights. Feeling overwhelmed and uncertain about what you should do is natural. Because a DWI arrest can be serious, you probably have many questions that need answers. The outcome of your case could hinge on selecting the right representation. Nicky Boatwright has over 15 years of experience in DWI defense and can assist you with sound advise concerning your situation and the immediate actions that need to be taken. Nicky wants to inform you, dispel any misconceptions, answer your questions and prepare the strongest defense possible. 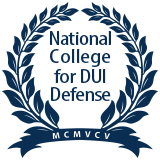 Nicky's Lubbock and surrounding counties practice is dedicated to anyone facing a DWI, DUI or other criminal charge. Protecting your rights is her primary concern. Nicky Boatwright offers a free initial consultation where you can meet, discuss the charges against you and review exactly what options are available to you. To assist you financially in paying any attorney fees, a flexible payment plan is available that will allow you to hire Nicky Boatwright so she can begin at once to work on resolving your case. Contact us today and make an appointment. Call all Nicky Boatwright at 806.747.8002, toll free at 888.697.2919 or contact us online. Our office is here to help. With more than fifteen years' experience, we can answer your questions and put your mind at ease. You deserve an aggressive fight for your rights. Make an appointment today for your free initial consultation. We are on call 24 hours a day.